Police have warned the public to be vigilant after a string of distraction burglaries, some in supermarket car parks. Several incidents were reported to Sussex Police on Saturday, March 4 where two men engaged with elderly or lone women asking for directions. While the victims were helping one man, another man is believed to attempt to remove cards from their handbags or left in vehicles. 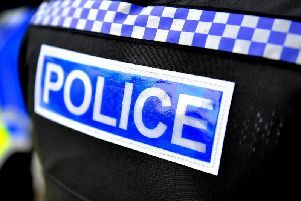 Four incidents have been reported at 11.10pm at the Lidl car park in North Street, Worthing, 12.15pm at the Lidl car park in New Road, Littlehampton, 1.10pm at Halfords car park in Rowan Way and 1.55pm on Wessex Avenue both in Bognor Regis. Investigator Daniel Turk said: “We have linked these four incidents so far and are appealing for anyone who may have seen the suspects or their vehicle. The suspects are described as Eastern European with foreign accents. “We are urging the public to take sensible precautions when helping others in public places. Never leave your bag on a shopping trolley unattended, and ensure the bag is zipped up. “When putting shopping away in the boot of your vehicle always keep your handbag or wallet with you and if you are distracted for even a moment while putting shopping away keep handbags with you or lock them in the vehicle before speaking to or helping anyone. If you have any information which might help, contact police online by clicking here. Alternatively, email 101@sussex.pnn.police.uk quoting 596 of 05/03 or contact Crimestoppers anonymously on 0800 555 111.